Although the effort by President Donald Trump and the Republicans to repeal and replace Obamacare has stalled in the Senate, the administration reportedly has a much stronger plan of action for its tax overhaul bill. Should the tax plan come to fruition, the country could see a significant slide down a global index of inequality, leaving it below countries with far smaller economies and less influence, The Guardian reported Sunday. If the Trump administration executes its tax plan, the Commitment to Reducing Inequality index estimates that the U.S. would drop in the global ranking to No. 29 in the world from its current position at 23. It would be the first significant rewriting of the country’s tax code in three decades. The CRI index, produced by Oxfam and Development Finance International, also predicts such an overhaul would result in a 33-spot nosedive in terms of the U.S.’s specific rating on tax policies, to 59th place. This would put the U.S. behind Chile, Peru and Sri Lanka. The U.S. is also seen falling behind the struggling economies of Greece, Argentina and Spain if Trump’s first budget and the GOP’s health care reform effort go through. “The reason we did this comparative index is in large part to challenge policymakers like President Trump to look to other economies and other societies, to give people smarter ways to give everyone an opportunity to lift themselves from poverty,” Oxfam America’s vice president for policy and campaigns, Paul O’Brien, told The Guardian. 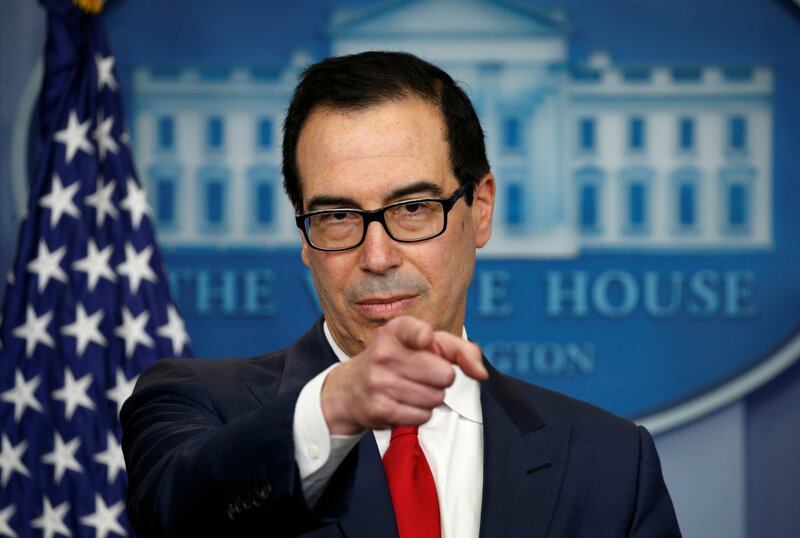 As released in April, the Trump plan called for cutting the corporate tax rate while also reducing the tax rate for the country’s highest earners, to 35 percent from 39.6 percent. It would also repeal the estate tax. The report indicates that when it comes to significant inequality measurements like how much corporations pay in taxes, the federal minimum wage and even benefits to workers, the U.S. would significantly trail many other developed countries, even though for decades it has recorded the largest gross domestic product. The U.S. amassed a GDP of more than $18.5 trillion in 2016, $7 trillion more than the next country, China, according to the World Bank. Compare that to Peru’s $192.9 billion or Sri Lanka’s $81.3 billion. Health care represents one-sixth of the U.S. economy, but the GOP overhaul effort has stalled in the Senate. According to Axios, the administration has tried to learn from that slow rollout and apply the lessons to dealing with the tax plan. Beginning sometime in mid-August, Trump is expected to directly pitch the tax plan to his base in Midwest states, while the White House will also ask CEOs and local politicians to do the same at town halls and other events. Also, millions of dollars will be spent for grassroots campaigns by conservative groups like Heritage Action and the Koch brothers’ political arm, according to Axios. Much like the GOP’s health care reform, Trump’s tax cut proposal is not popular. A Politico-Harvard T.H. Chan School of Public Health survey found that 62 percent of respondents said they are against the plan, while 24 percent back it. (Republicans were split, with 40 percent supporting the proposal and 41 percent opposed.) Most respondents said the tax plan would not help the economy.